View our Products page to see what we have to offer. Please give us a call for orders and/or comments! We offer an array of services to meet your individual needs. 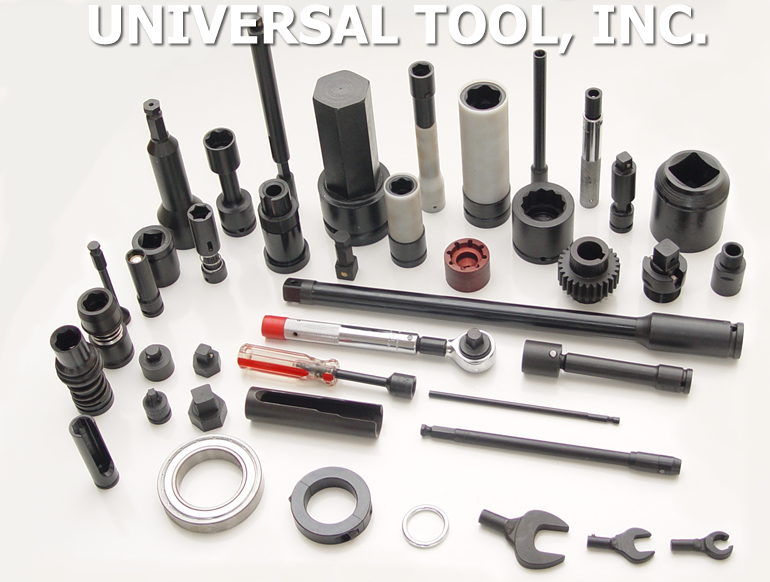 We also create custom tools for any job requiring industrial hand tools. Give us a call today! Check out our Map page. 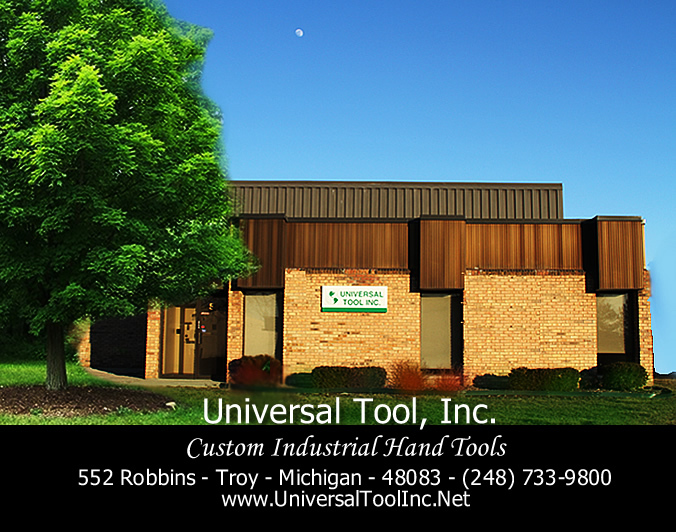 We are located in Troy, Michigan - East of 1-75. Read more about our company and the success of our company, founded in 1976. Check out our Links page to see some of the brands and organizations that we recommend. Submit your quote or order. Once you complete the form a representative will contact you to verify your order and/or quote. Position mouse over the text link above, Right-Click your mouse, Left Click on "Save Target As". Save the file to your computer. Opening and Downloading times depend on the speed of your computer and your Internet connection speed. Our manual is in PDF format. You will need a PDF reader to view our online manual. Extentions and Adaptors Photo Gallery. 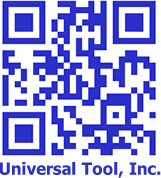 UNIVERSAL TOOL, INC. was founded in March 1988. Previously located in Pontiac we are now located in Troy. Our company specializes in impact quality sockets, wobble sockets, extensions, adapters, universals and fastening tools manufactured to your specifications. Our products are AISA 6150 steel heat treated to industry standards unless otherwise specified. We use standard black oxide coating. Our company takes great pride in scheduling delivery times to meet your needs. Our experienced personnel are always available for any and all questions or assistance that may be needed. WE INVITE YOUR INQUIRY ON SPECIAL SOCKETS, WOBBLE SOCKETS, EXTENSIONS, ADAPTERS, AND UNIVERSALS WHICH DO NOT MATCH A STANDARD PART PROFILE.